We don’t really know much about Priyanka’s intellectual prowess or her ideological preferences. 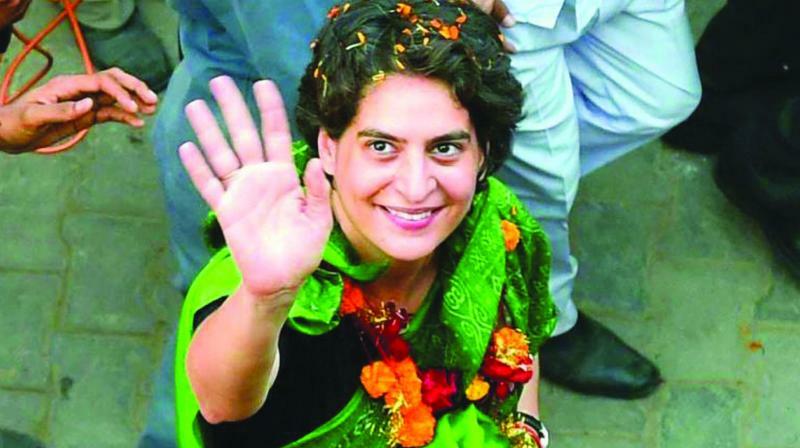 Compared to the SP of low-caste farmers and the BSP of the erstwhile “untouchables” controlling crucial avenues of politics, Priyanka shines as a middle-class icon, more presentable than any of her real or contrived opponents. But there is the opposite lesson she might also learn. Struggling to identify the principal quarry in the May elections is not the Congress party’s problem alone. In West Bengal, the Left Front has declared CM Mamata Banerjee as much of a threat to secular democracy as the BJP. There have been reports that the communists are linking up with the Congress to defeat Mamata Banerjee, who is also a key target of the BJP.